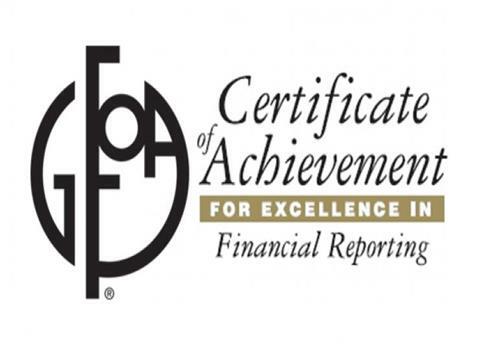 February 2016 - The Certificate of Achievement for Excellence in Financial Reporting has, once again, been awarded to the Village of Romeoville. The award was given by the Government Finance Officers Association (GFOA) to the Village of Romeoville for the Comprehensive Annual Financial report (CAFR). The Certificate of Achievement is the highest form of recognition in the area of governmental accounting and financial reporting, and its attainment represents a significant accomplishment by a government and its management. "We are very proud to have received this award for the second year in a row. The hard work and dedication of the staff is very evident," said Mayor Noak.